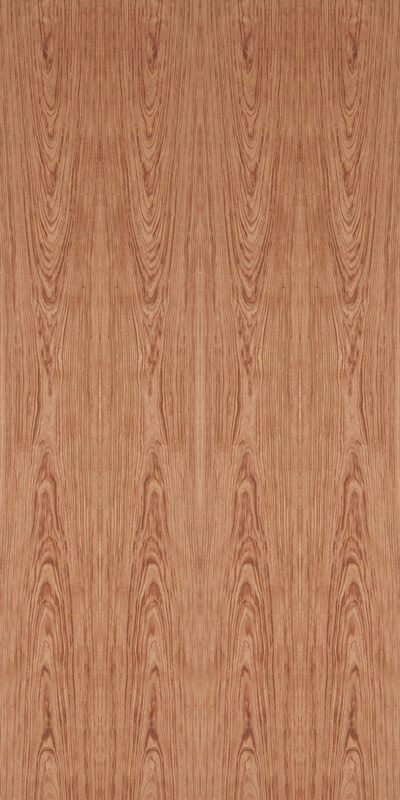 Bubinga is a striking veneer with a very broad color spectrum ranging from pink to brownish-red to nearly violet. It has a beautiful texture and fine contrasting growth lines that may be wavy in some logs due to the grain’s interlocked fibers. Bee’s wing and block mottle figures are fairly common. Behemoth lengths and widths make it well suited for large architectural installations. When rotary cut, bubinga is called kevazinga. 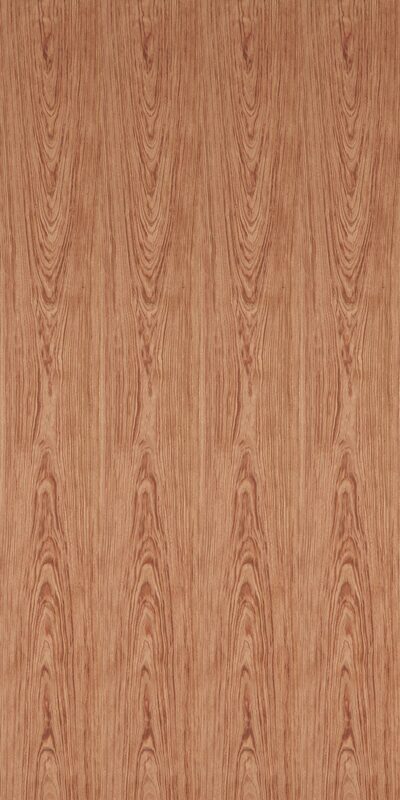 This African veneer is a sophisticated and elegant choice for interior environments.